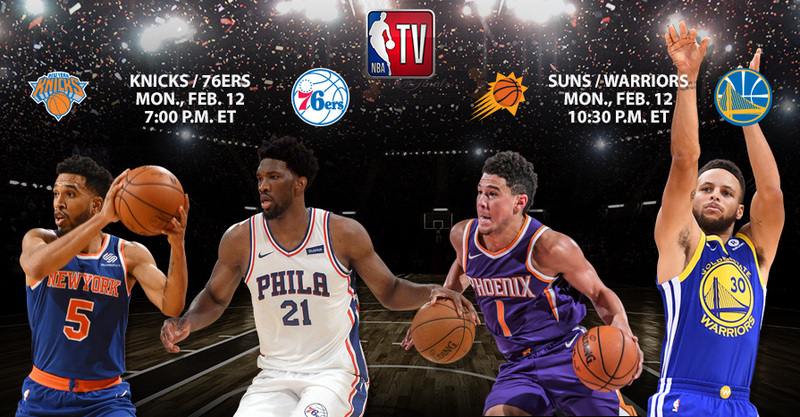 NBA TV’s upcoming programming will include a Fast Break Monday doubleheader featuring the Philadelphia 76ers, with All-Star Joel Embiid, hosting the New York Knicks and Courtney Lee, at 7 p.m. ET. In the network’s second game of the night, the Golden State Warriors – with All-Star Team Captain Stephen Curry – will host the Phoenix Suns and Devin Booker at 10:30 p.m.
Additional live game highlights will include the Dallas Mavericks and Dirk Nowitzki visiting the Houston Rockets and All-Star James Harden at 7 p.m.
NBA TV’s The City Game: LA – premiering Sunday, Feb. 11, at 10:30 p.m. – will feature host Baron Davis touring Los Angeles’ playgrounds, school yards and colleges while sharing his many reasons why the city can be considered the basketball capital of the world..
• NBA Inside Stuff, co-hosted by Kristen Ledlow and Grant Hill, will feature an all-new episode Saturday, Feb. 10, at 6:30 p.m. The all-access show will include Ledlow visiting with the Oklahoma City Thunder’s Steven Adams, a recap of Paul Pierce’s jersey retirement in Boston and the Toronto Raptors’ Normal Powell visiting some of his favorite restaurants in Los Angeles ahead of NBA All-Star 2018. • The network is honoring Black History Month with a collection of feature programs and special segments throughout the month. Earlier this week, Dominique Wilkins visited NBA TV and discussed how he and others are helping minorities get involved in the Atlanta technology sector. 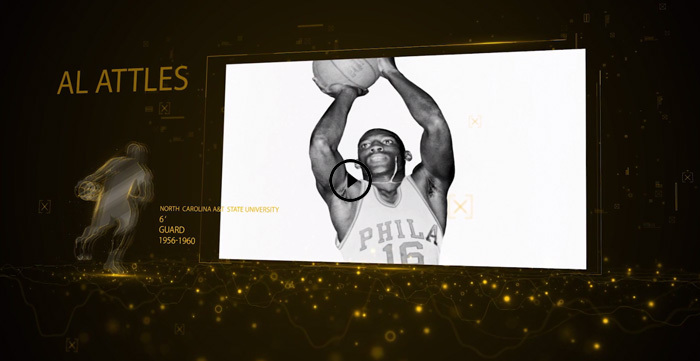 • Additionally, NBA Digital has produced 28 vignettes – one released per day throughout February – highlighting players who attended HBCUs. The collection of bios premiere across NBA TV, NBA.com and the NBA App. One of the recent segments celebrated the career of Warriors legend Al Attles.